Adding a brick or stone patio to your outdoor space will enhance the beauty of your yard and give you a place to relax or entertain. 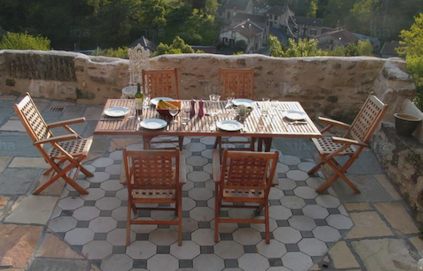 Patios can be constructed of various materials and in a wide variety of patterns and styles. 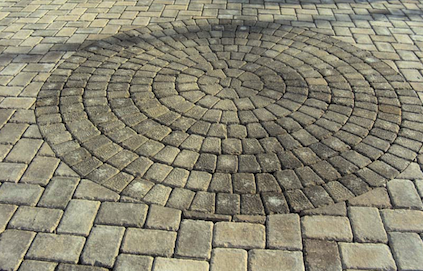 At Brick Mason Nashville, we are committed to constructing a solid and beautiful work of art on your property that will last for years to come. If you're looking for an experienced brick or stone patio contractor in Nashville, you should give us a call. We will ensure the job is done correctly with quality products at an affordable rate. Below, we answer some common questions surrounding patios. The short answer is yes. This is particularly true if you are building an additional structure that can compromise the integrity of your foundation. However, it’s not always cut and dry. Should I notify the homeowners association? If you belong to an association and signed an agreement about keeping the similar look of your area, then yes, you do have to secure their approval. Even if there’s no expressed prohibition on enhancements, it is better to go to your local association to clarify some of your nagging questions. Which is better, Brick Pavers or Stamped Concrete? Both have their respective benefits and disadvantages. For instance, you will need less money for a paved concrete patio. Brick pavers, meanwhile, are much more durable so you save on maintenance costs in the long term. They also carry a longer warranty. Also, a brick layer is easier to replace compared to concrete. It is better if you talk to our brick masonry or concrete masonry expert to help you make the best decision for your home. Do I Need Drainage for My Patio? Sufficient drainage will prolong the lifespan, especially with your brick patio. There’s a science in the level of slope on the patio to prevent water from accumulating in a single area. The contractor should know the ratio of an inch to feet with regards to the incline. Weeds are Growing on My Patio, What Should I Do? This is a clear indication that the brick masonry contractor may not really know what he is doing. 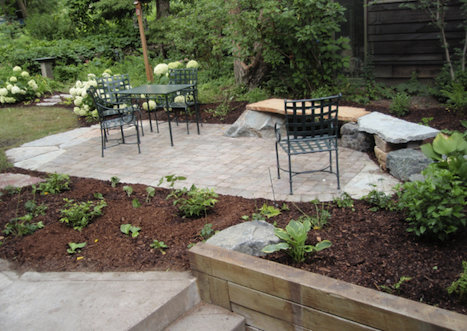 If correctly installed, your patio should be considered a dead zone, meaning no grass or weed should grow. Nevertheless, we can help remove all the weeds or sand that may be lodged in between the gaps. We will then sanitize it with special cleaners before we re-seal it to make sure no weeds will ever grow on your patio again. If you have any other questions about patio construction, please do not hesitate to contact us. We love to talk about our work and enjoy explaining the process to interested homeowners!